Simply put, indigenous plants are plants that occur naturally in a larger geographical area, i.e. a country or more than one country, and that were not placed there by man. Making the circle smaller, we should also consider endemic plants, which are plants that occur naturally in a smaller region (e.g. The Highveld) within this large region and have adapted to the specific conditions (rainfall, temperature, altitude, etc.) of that region. 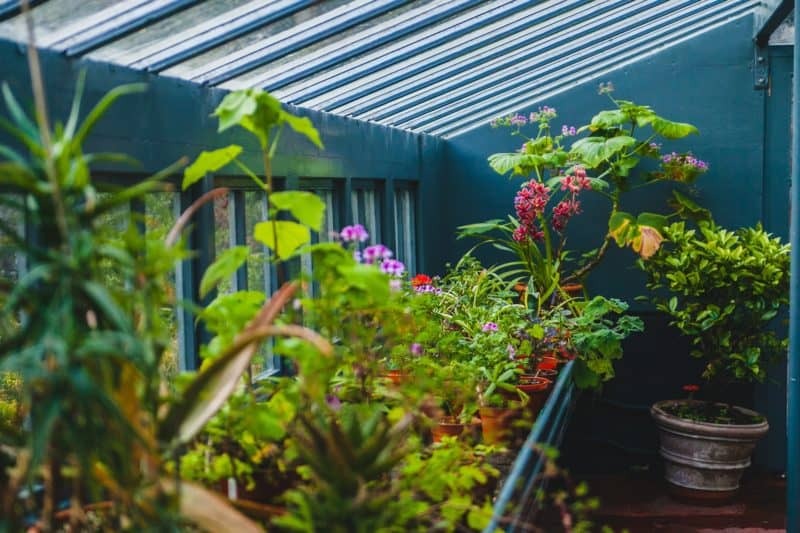 Naturalised plants, on the other hand, are plants that were initially brought in from another area, be it the same country or another, and have adapted to the extent that it can grow and flourish in the area without man’s help. 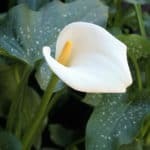 Planting indigenous plants is advantageous compared to exotics, given that indigenous plants are more suited to thrive in our environmental conditions. They are generally more hardy, can maintain themselves in our dry conditions and they attract birds and wildlife. 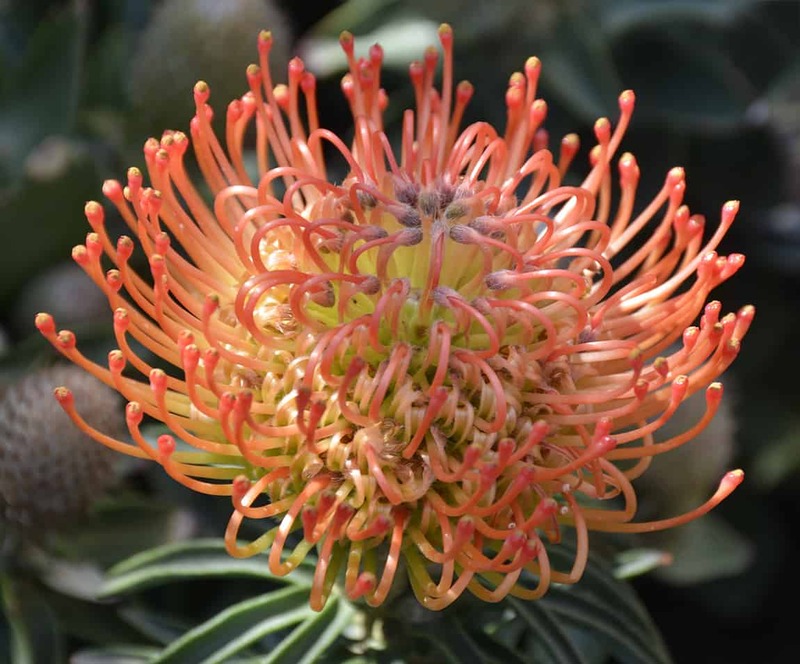 Commonly, indigenous plants require less water once established and given their suitability to our environmental conditions, they are fabulous additions to any South African garden! Pincushions are sun loving, hardy and wind resistant. 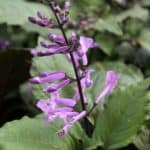 Water well until established and thereafter these striking plants are ideal for low maintenance and low water usage gardens. 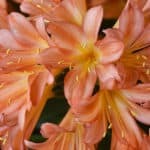 They are vigorous growers with high flower yield that attract birds and make wonderful cut flowers. 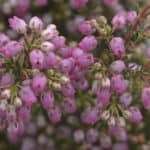 There is an amazing selection of Erica’s in a range of pinks and yellow, showcasing masses of dangling or dainty bell shaped flowers. They are sun loving and should be pruned after flowering. 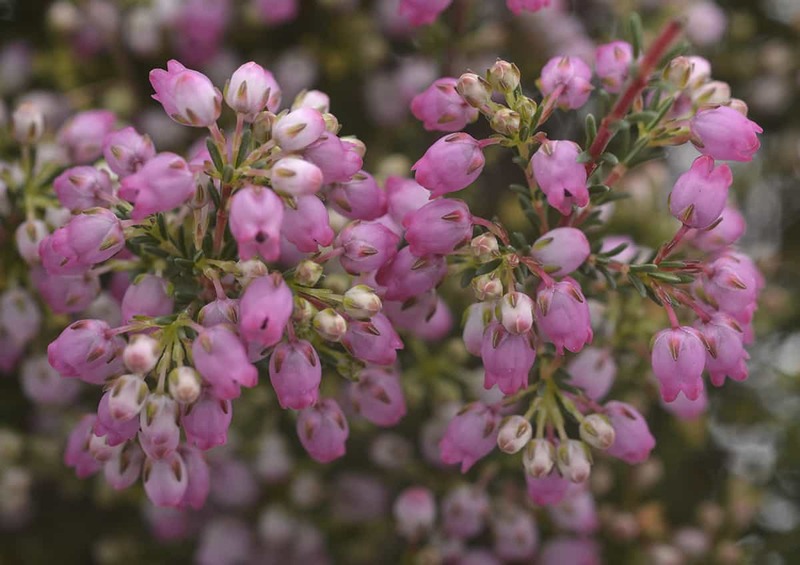 Excellent in containers, Erica’s also attract birds and make for wonderful cut flowers. Water daily until established, thereafter they are ideal hardy, evergreen and wind resistant plants for low maintenance gardens. They generally prefer sandy or rocky soil. 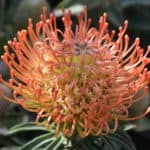 Protea’s are beautiful and highly sought after sun loving, fast growing, wind resistant, hardy shrubs that attract birds and make great cut flowers once fully grown. Ideal for low water use and low maintenance gardens as they can tolerate dry conditions once established. 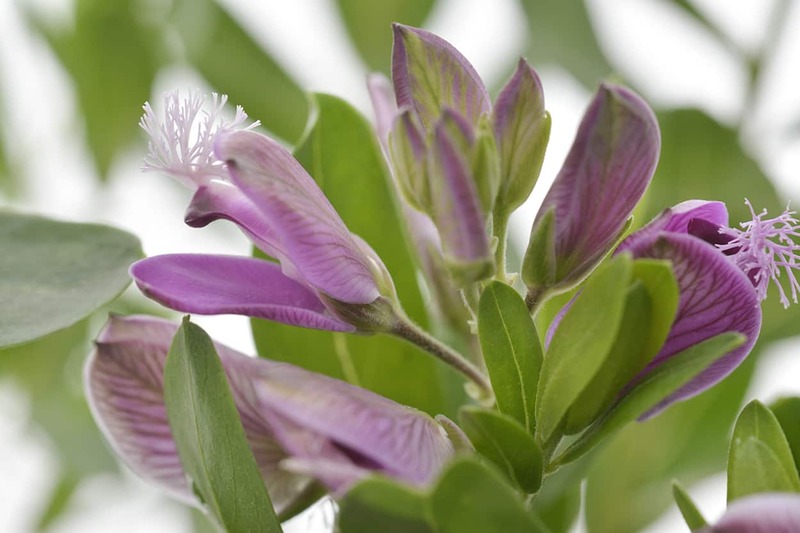 Plant in well-draining acidic soil and water well until established. 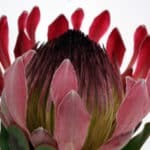 Protea’s are fabulous in containers, but then it is important to water them daily. 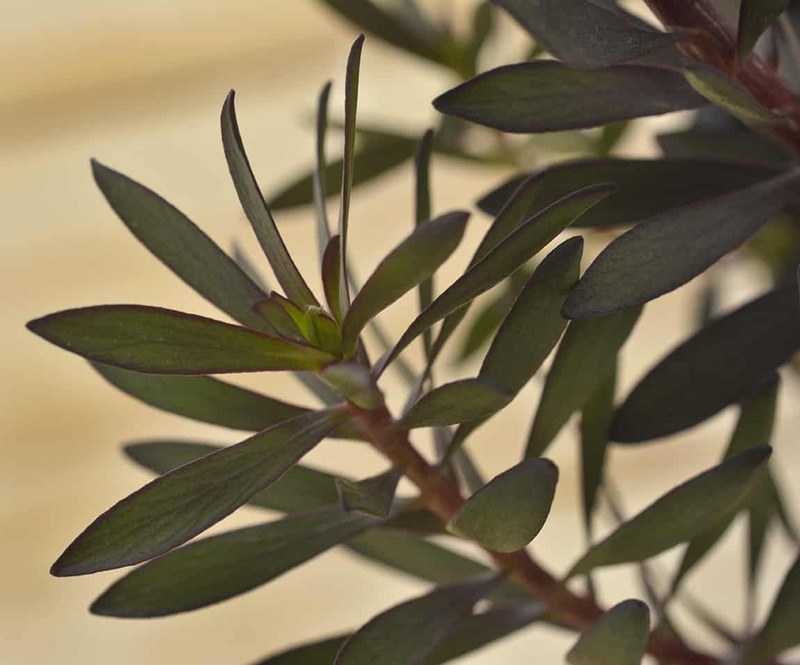 An unusual evergreen sun loving fynbos that showcases colour and texture through its rich attractive foliage. 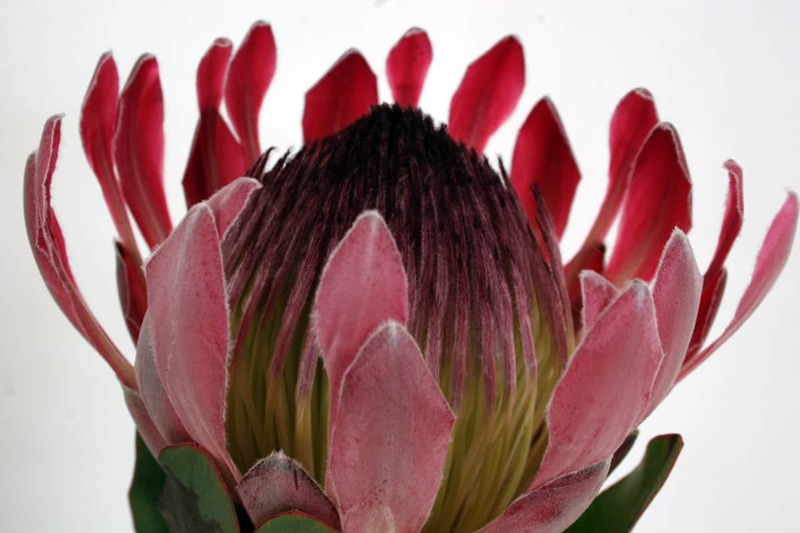 Leucadendron are wind resistant, hardy and ideal for low maintenance and low water use gardens. 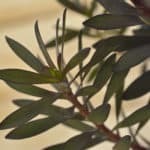 Because of their attractive foliage, these plants are great for screening or edging. 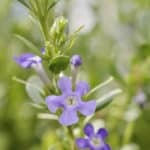 Click |HERE| to read our fynbos care guide so that you can have success with growing fynbos in your garden. 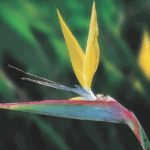 Mackaya Bella’s are shade to semi shade loving evergreen shrubs that attract butterflies. 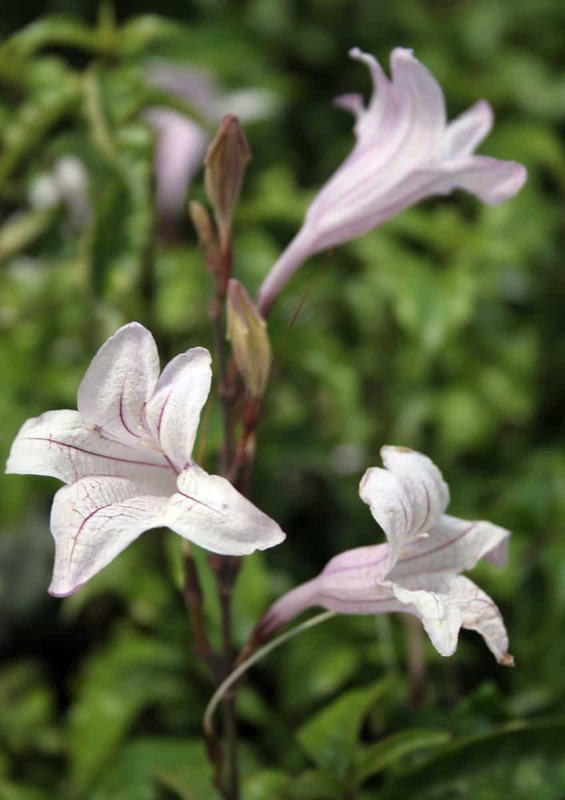 Showcasing big white flowers marked with fine purple lines, this plant looks stunning in containers. Prune often to encourage bushiness and water well in the hotter months. 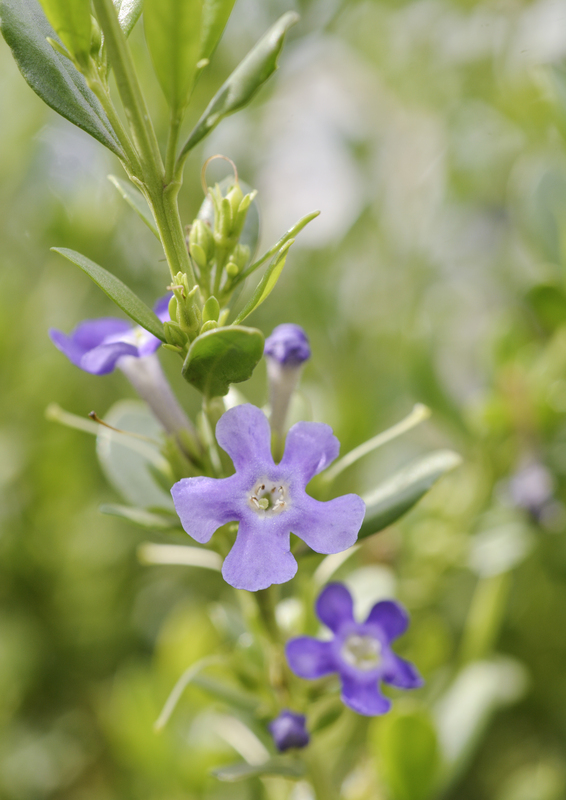 Freylinia are semi-hardy, sun loving, fast growing shrubs with white, blue or purple flowers that flower profusely from September to February. They thrive in Summer rainfall areas and attract butterflies. Great for containers and screening, and they can also be pruned wonderfully into a hedge. 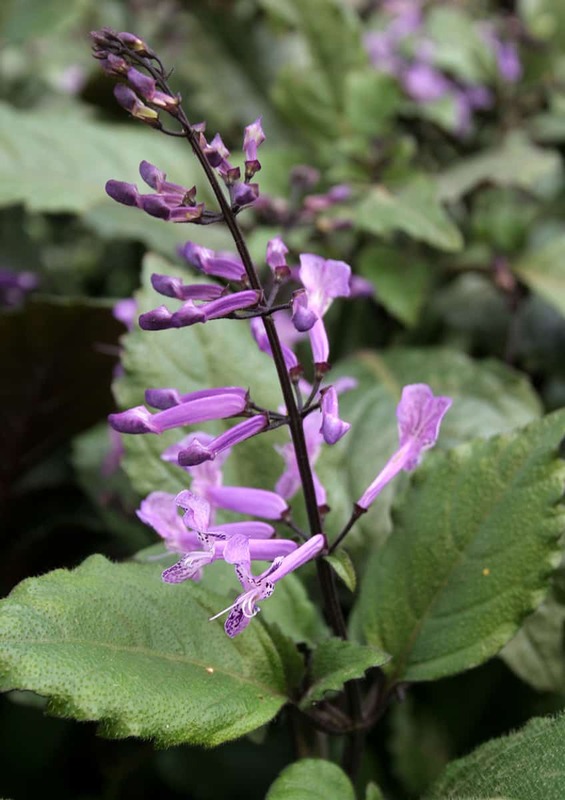 Semi-shade loving indigenous shrub that flowers in Autumn and Spring; the Plectranthus ‘Mona Lavender’ showcases large deep mauve flowers on short spikes with interesting dark green leaves that have a purple underside. 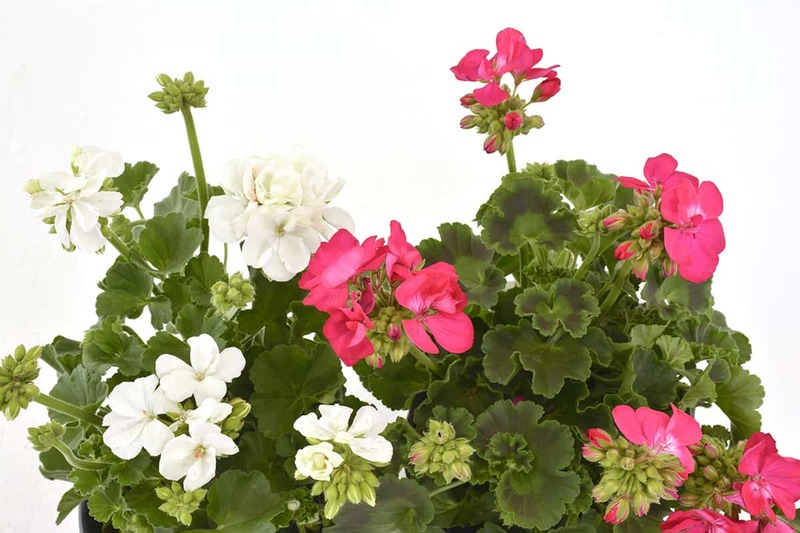 Pelargonium zonale is a sun or semi-shade loving, hardy shrub, available in a range of colours that showcases clusters of showy flowers most of the year. Space out well when planting with about 20cm between each bush. 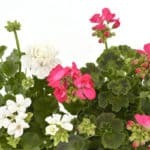 Pelargonium hortorum is a sun or semi-shade loving fast growing, hardy shrub, available in a range of colours that showcases clusters of showy flowers with trailing habits. Perfect for container gardener, in hanging baskets or as groundcover. 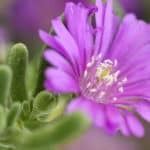 Delosperma cooperi is a sun loving, succulent groundcover with creeping habits that showcases masses of small deep purple long lasting flowers through Summer. Great in pots and rockeries. Sun loving, low growing ground cover available in a range of flower colours that flower in Spring. 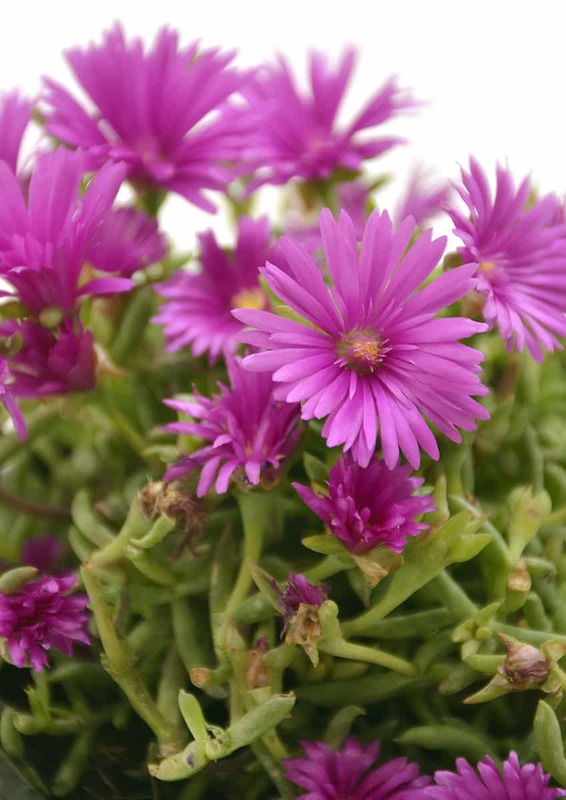 The Vygie is a hardy, succulent-like plant that needs only moderate watering. 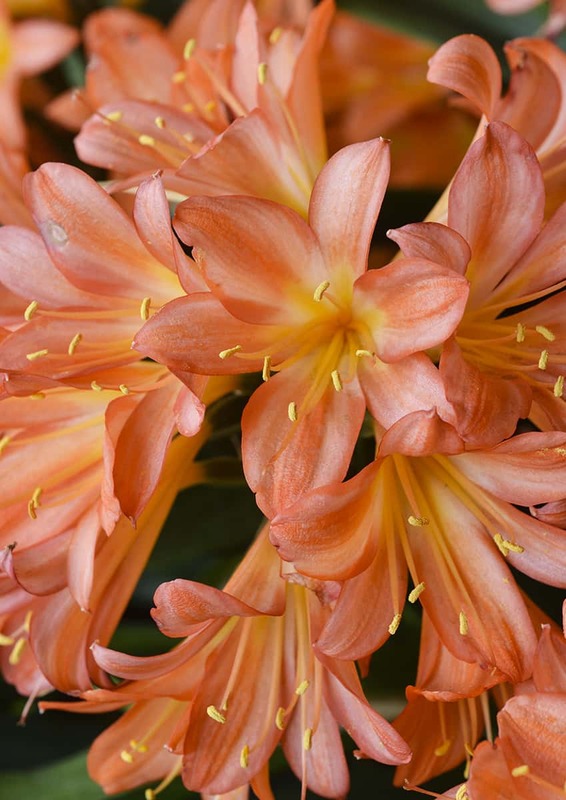 Clivia’s are semi-shade to shade loving, semi-hardy shrubs that showcase bright orange (Clivia miniata ‘Bush Lily’) or yellow (Clivia miniata citrina) flowers. 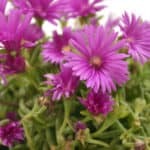 They are great in containers or en masse and need regular watering during Summer. 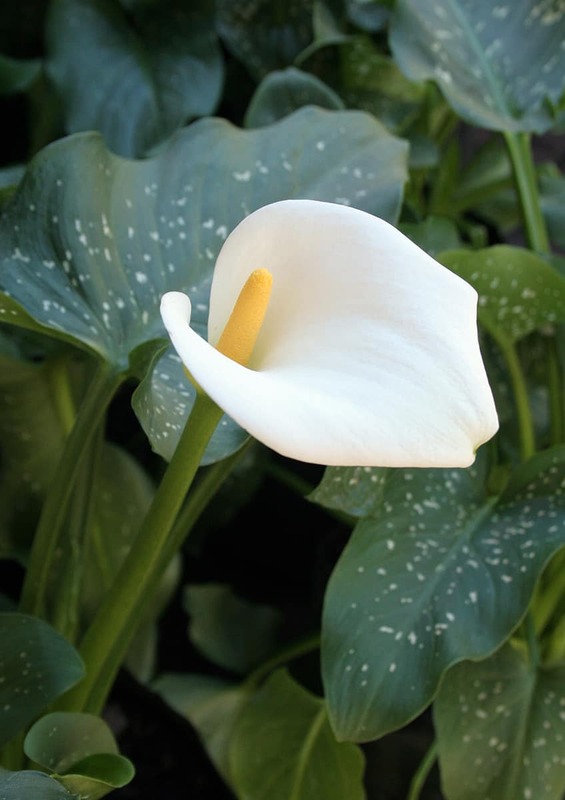 The Arum Lily is a hardy, shade to semi shade loving shrub that showcases elegant white flowers on long stems through Summer. 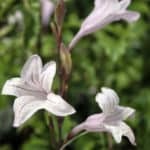 It is a semi-deciduous bulb plant that is great near water or in a shallow pond. 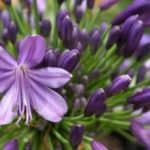 Agapanthus can thrive in sun, semi-shade or shade conditions. They look amazing planted en masse when flowering throughout Summer. 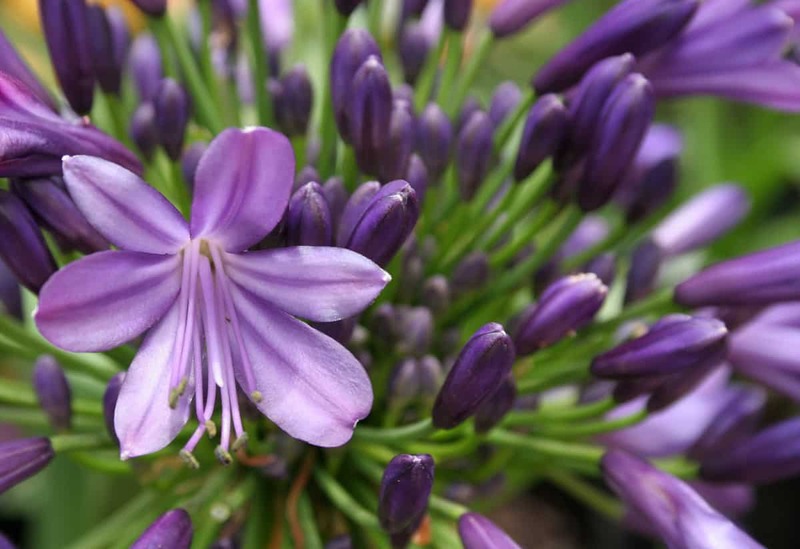 Available in a range of white, blue and purple flower colours, Agapanthus are semi-hardy, evergreen shrubs that are great for bordering or planted en masse in a large garden bed. 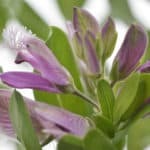 Polygala myrtifolia is a sun or semi-shade loving, semi-hardy, fast growing shrub that showcases magnificent green and purple flowers all year round. It is water saving as it only needs moderate to low watering. This semi-hardy plant is great planted close to walls and en masse. This sun and semi shade loving perennial showcases dark green leaves with yellow and blue crane-like flowers. 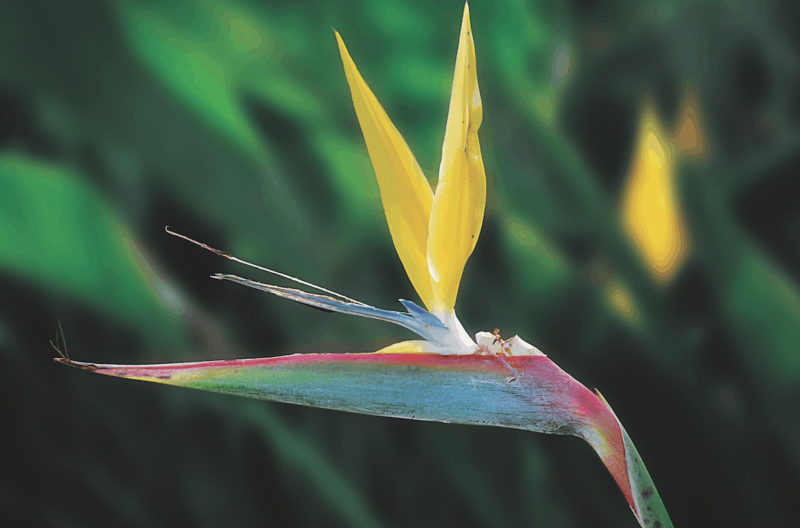 Strelitzia’s make for a lovely cut flower, are wind resistant and flower most of the year round. 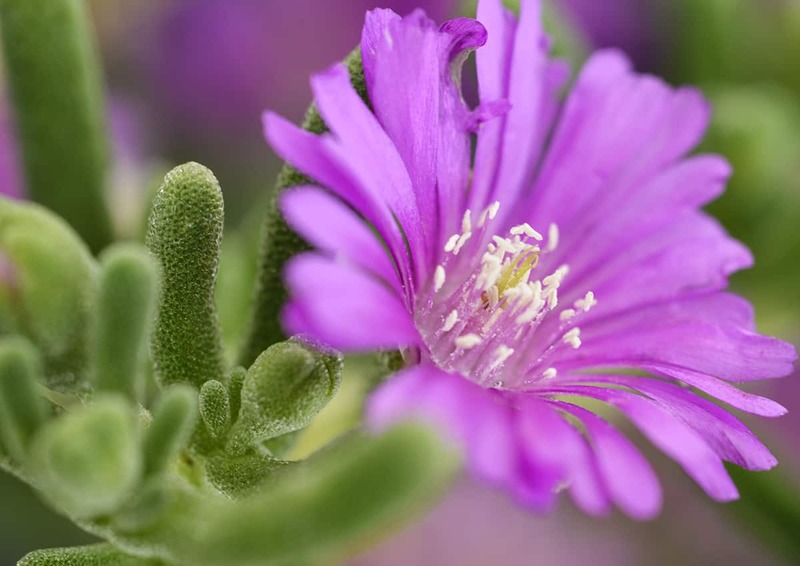 Click |HERE| to view the SANBI (South African National Biodiversity Institute) list of indigenous trees well suited to the Highveld and grassland regions. Find one of our friendly sales advisors in green golf shirts to help you find an array of your favourite indigenous plants and trees to grow in your garden!